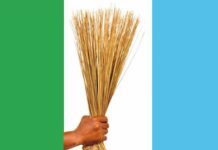 It is no longer news, that the Rivers State Chapter of All Progressives Congress has been struggling in a tough legal battle for about ten months, arising from the wrongful exclusion of many who had earlier paid for forms to contest for party Congresses. 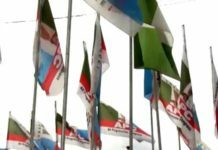 The National Working Committee of All Progressives Congress had earlier scheduled 5th, 12th and 19th May 2018 to hold her Congresses. Surprisingly, the money bags within the Rivers State Chapter led by the leader of the party in the state and Honourable Minister of Transportation, Rt. Hon. 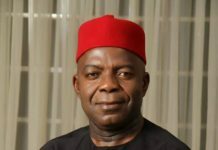 Chibuike Rotimi Amaechi and the then Chairman of Rivers State All Progressives Congress, Dr. Davies Ibiamu Ikanya had colluded to shortchange many who were perceived to be sympathetic to the Senator representing Rivers South East at the National Assembly. On the 8th, May, 2018, a few amongst those that were wrongful excluded from the Congresses approached the Court with an earnest plea; firstly, seeking an order to halt the Congresses in Rivers State pending when their determination of the matter. 2) A declaration be and is hereby made that the exclusion of the Applicants from participating in the Ward Congresses is unconstitutional, null and void. 3) A declaration be and is hereby made that the purported Ward Congress held by the Respondent (APC) in May 5, 2018 is null, void and of no effect whatsoever and is hereby set aside. 4) A perpetual order of injunction be and is hereby made restraining the Respondent (APC) from conducting any Local Government Area Congresses or further Congresses in Rivers State based on the Ward Congresses election purportedly conducted on May 5, 2018. 5) A perpetual order of injunction be and is hereby made restraining the Respondent from recognising or accepting the results of Ward election whatsoever arising from the purported Ward Congress of the May, 5, 2018. 6) A declaration that the purported Ward, Local Government and State Congresses conducted by the Respondent in Rivers State on May 12, 19, 20 and 21 2018 respectively are null, void and of no effect whatsoever. 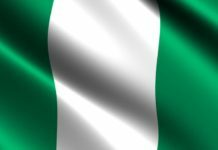 Surprisingly, the party sat on appeal over the order of the court and rescheduled congresses in disobedience to the subsisting order of the court to maintain status quo. 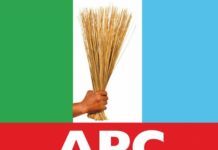 Unfortunately, the party used same non existent party exco to conduct Indirect Primaries as against the directive of the National Executive Committee of APC for the party in Rivers State to hold Direct Primaries following the legal complexities in the state. In the eyes of the law, all the things done within the pendency of the suit is of no effect. On May 30, 2018 the court nullified all the products of the Congresses. 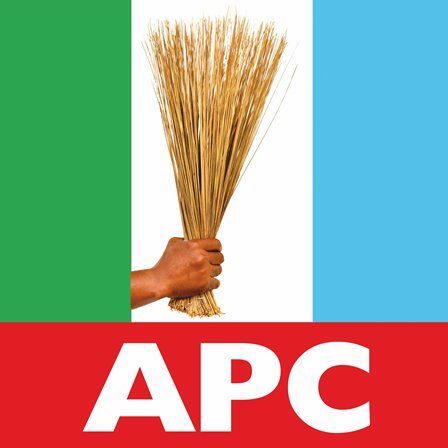 “A declaration be and is hereby made that all the primaries conducted by the Respondent (APC) in Rivers State for Governorship, Senate, House of Representatives, House of Assembly and/or whatever is done, howsoever done in conjunction with or with the participation of all persons elected at the Ward, local Government and State Congresses held by the APC in Rivers State, all for the 2019 general elections BASED on the Congresses conducted on May 12th, 19th and 21st, 2018 including the election of the Ward executives, Local Government executives and State executives of the Respondents (APC) in Rivers State and any other thing done in like manner by any other person in this suit”. The decision of the trial court was made with the consent of the parties and so leave is required before an appeal is filed. Where leave is required to be obtained but was not, the appeal cannot be competent and the appellate Court will lack the jurisdiction to entertain it. Unfortunately, they appealed the Judgement of the Rivers High Court without seeking the leave of the court as enshrined in Sec. 241 (2) (c) CFRN. Also, they erred by challenging the Judgement of the Rivers High Court when the matter was statue barred. It was on the strength of the above, that the Court of Appeal sitting in Port Harcourt struck out their appeals. Flowing from the above, the Supreme Court yesterday gave a locus classicus and landmark judgment giving judicial efficacy and blessings to the Judgement of the Rivers State High Court delivered on the 10/10/18. Recall, the Judgement of the Rivers High Court had earlier nullified Congresses and indirect primaries that saw through Tonye Cole and other illegal persons. The law herein is to the effect that all those who participated and emanated from the sham Congresses remains illegal until thy kingdom come. The All Progressives Congress has only one alternative; and that is to wholly queue behind Distinguished. Sen. Magnus Abe and other candidates that emerged through the Direct Primaries in Rivers State. 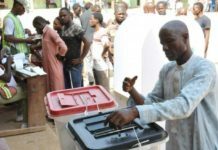 It is common knowledge that there is no legal impediment whatsoever hampering candidates of the Direct Primaries Candidates. As at today, Sen. Magnus Abe and 42 Ors are in court seeking declarative orders of court to declaring them rightful candidates of the party in Rivers State. Because, God lives, we will triumph overwhelming.